A few years ago, I was trying to run an action on a layout I was working on, and I kept getting weird error messages I didn’t understand. I tried several times, but the action just would not work the way the product description said it would. I went back, re-read the instructions, and realized I hadn’t installed the pattern (PAT) file that came with the product. Bingo! I installed the PAT file, tried to run the action again, and voilà! I’ve never had a problem with the action since then. To save you similar troubles I’m going to show you two methods for installing patterns. 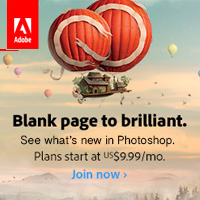 Note: Prior to Photoshop Elements 11, there was a lengthy process to go through to install an action. If you are using a version of PSE earlier than version 11, you may want to see this tutorial: Installing Actions in Photoshop Elements 9. First, after you download and unzip your action files, be sure to read any instructions that come with the product. 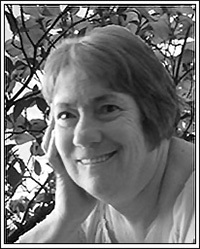 Many of the newer products include video tutorials, so watch those as well. 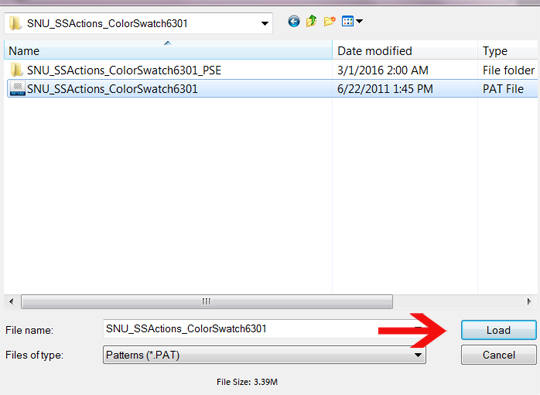 Some actions include pattern (PAT) and/or brush (ABR) files. 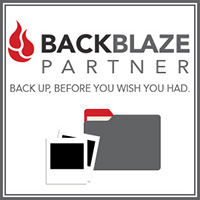 In order for the action to run properly, these files must be installed prior to running the action. Some actions may also include style (ASL) files, so familiarize yourself with all of the product’s components. The first method involves loading the file as opposed to installing it. There is a downside to this method: the file will only stay in the presets temporarily. Once you’ve loaded the pattern and used the action, if you make changes such as using a different pattern set, you need to re-load that pattern or the action it is intended for won’t run. Method One: In the menu bar, go to Edit and select Preset Manager to open it. Open the Preset Type drop-down and select Patterns from the list. By default, the last pattern set used will open. 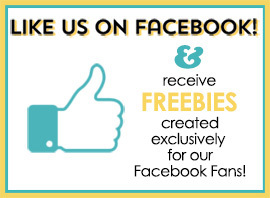 Click the Add… button. Navigate to the pattern file you want to load, select it and click the Load button. 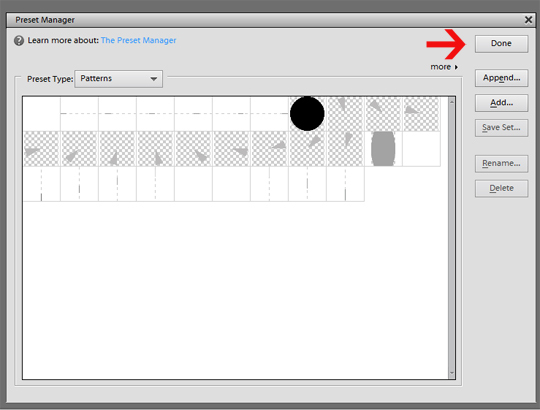 When you click the Load button, the pattern set will immediately appear in a new window. Click Done. Now your pattern is loaded, and you are ready to run the action. Method Two: This method involves installing the pattern file. When we install the pattern file rather than loading it, the file will stay in the presets permanently and won’t disappear and need to be re-loaded later. Navigate to the pattern file you wish to install. Right click on it and select Copy (Ctrl+C). 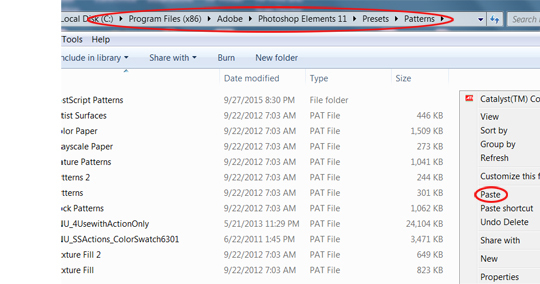 Navigate to the Photoshop Elements Presets folder. Click on a blank area in the window, right-click and select Paste (Ctrl+V). 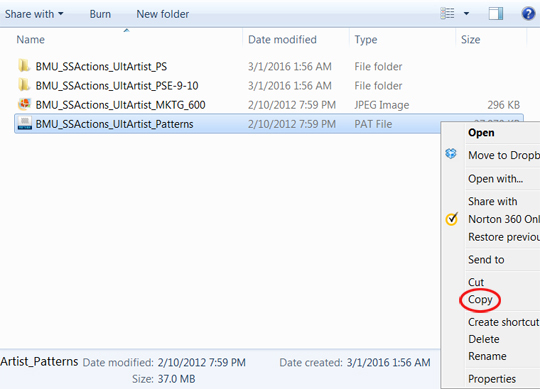 When you want to run an action which includes a pattern file, open the Preset Manager and click the More arrow. 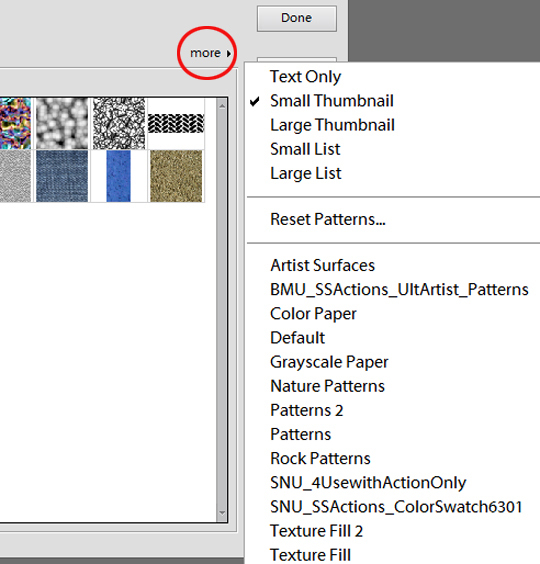 From the menu that opens, select the pattern set you need for the action you want to run and click Done. The installed pattern set will load and open in a new window. Click the Done button again to close the Preset Manager. 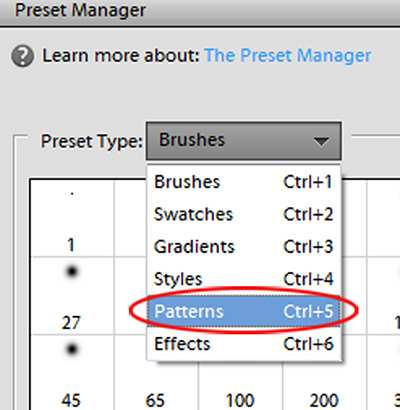 An important thing to remember is that the Preset Manager always defaults to the last pattern set used. 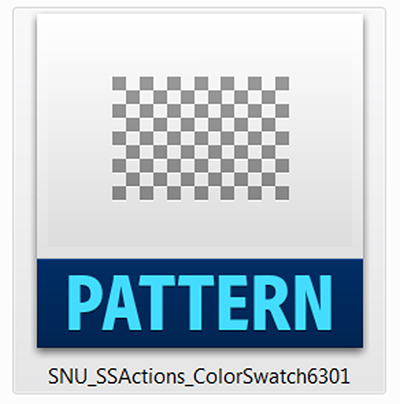 For example, if the last pattern set you used was from Brandy Murry’s Action Pack: Ultimate Artist and then you try to use one of Syndee Nuckles’s ScrapSimple Tools – Actions: Color Swatch 6301, the action will not run correctly. You will need to either load the pattern file as we did in Method One, or if you’ve installed it, select it from the menu in the Preset Manager. I hope you’ve found this tutorial to be informative and helpful. Actions really are fun to use and we would love to see what creative uses you can find for them when you posted your layouts in the Scrap Girls Gallery. If you need more information about loading actions in PSE 11, be sure to see this article: How to Load Actions.